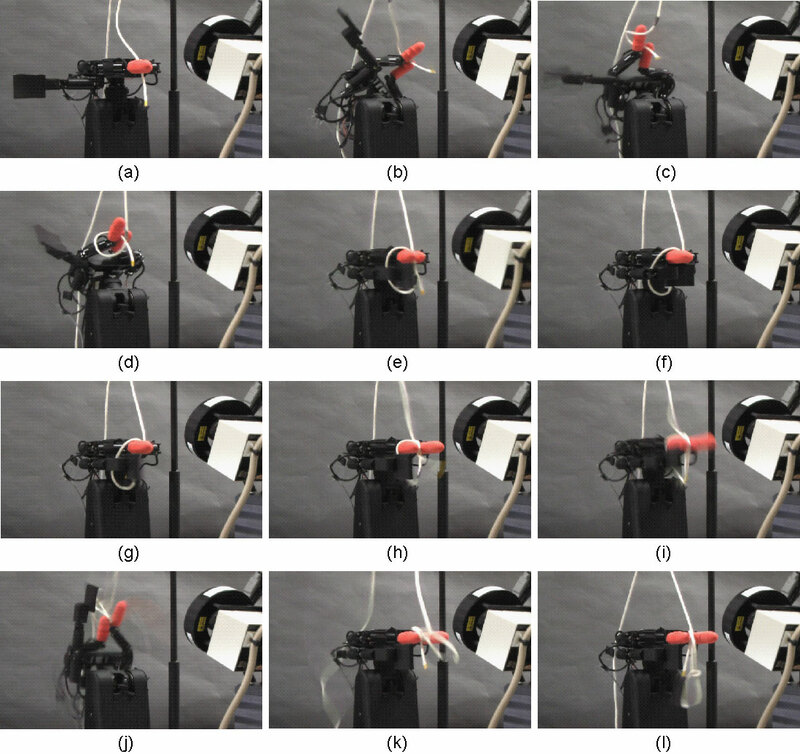 This research proposes a new strategy of one handed knotting with a high-speed multifingered robot hand and tactile and visual sensors. The strategy is divided to three steps: loop production, rope permutation, and rope pulling. Through these three steps, a knotting is achieved by only one multifingered robot hand. Moreover, this study proposes the control method of wrist joint angle in loop production and the grasping force control in rope permutation. Copyright(c)2008 Ishikawa Komuro Laboratory. All rights reserved.